Fluorescent sign lights and outdoor flood lights are used to illuminate wall mounted and pedestal type signs everywhere across the country. Sign Bracket Store distributes exterior architectural lighting fixtures provided by a number of different companies for a diverse range of outdoor spot lights and outdoor flood lights. Browse the entire category of fluorescent sign lights by scrolling through the section below and find a range of functional and architectural lighting options for commercial exteriors. From standard 6in. flood light style fluorescent lights to a four-foot wide, high output T5 Fluorescent light, we provide your sign lighting solutions. Mounting pedestals for outdoor spot lights and ground stakes for outdoor flood lights are also featured. 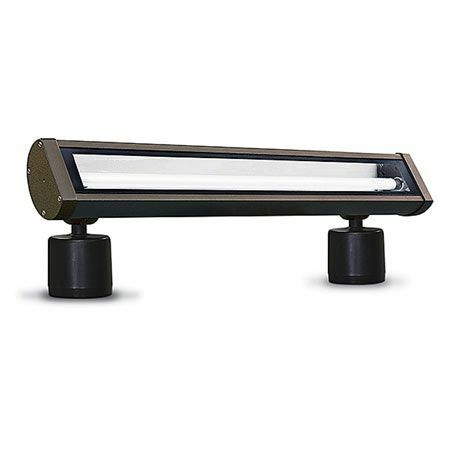 Whichever fluorescent flood light fixture you need, shop online at your convenience to find a comprehensive architectural lighting solution suited to your commercial exterior project.